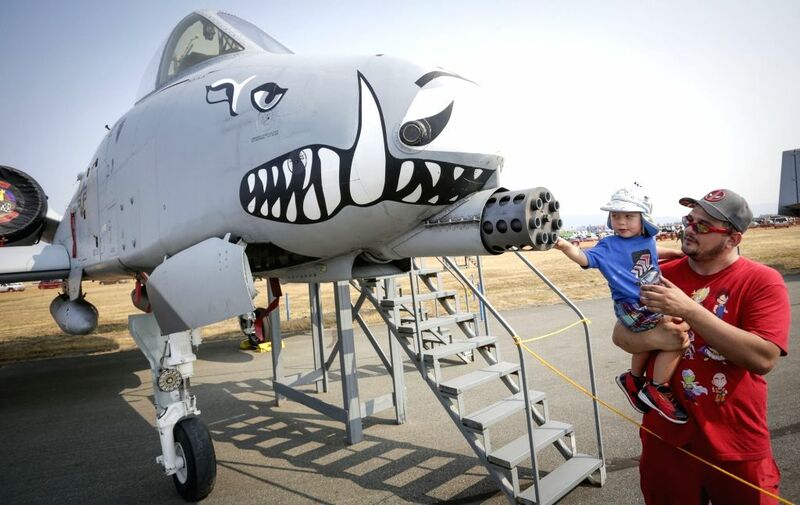 ABBOTSFORD, Aug. 11, 2018 - People visit the 56th Abbotsford International Airshow in Abbotsford, Canada, Aug. 10, 2018. 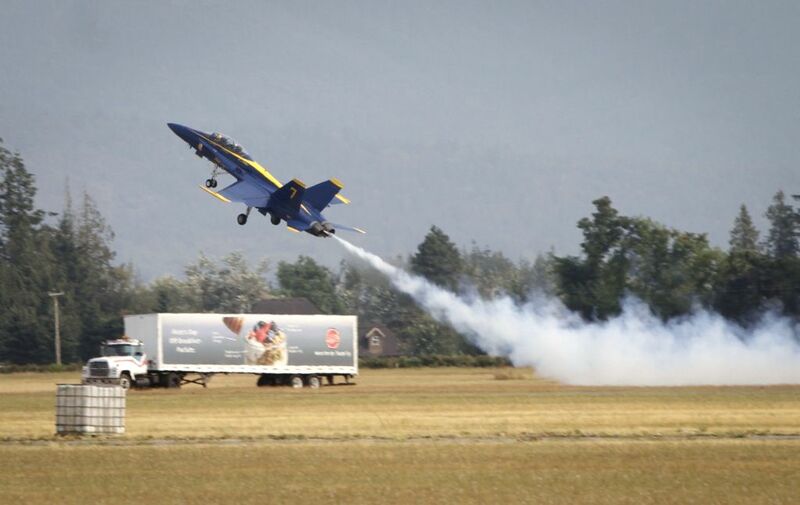 The Abbotsford International Airshow kicked off from Aug. 10 to Aug. 12 this year. The airshow first took flight in 1962, launched by a local flying club to draw attention and business to the town's airport. 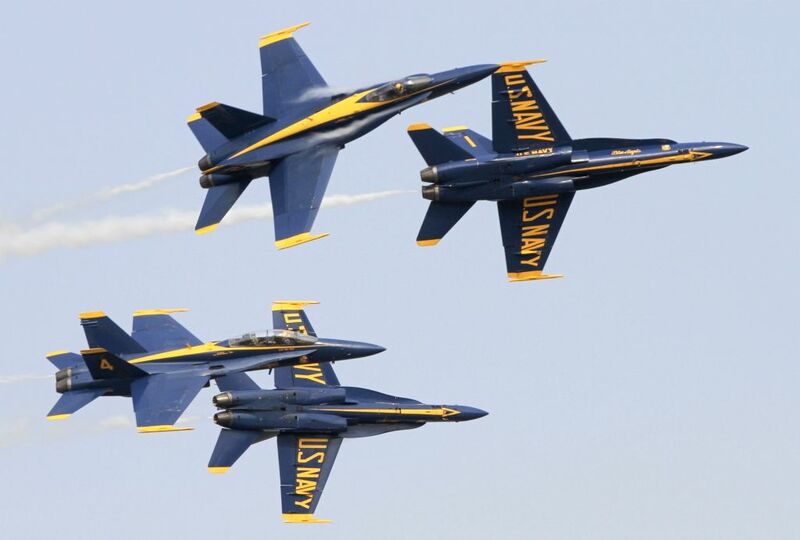 It later became one of the most important aviation shows in North America, drawing top pilots and airplanes from around Canada, the United States and Europe. 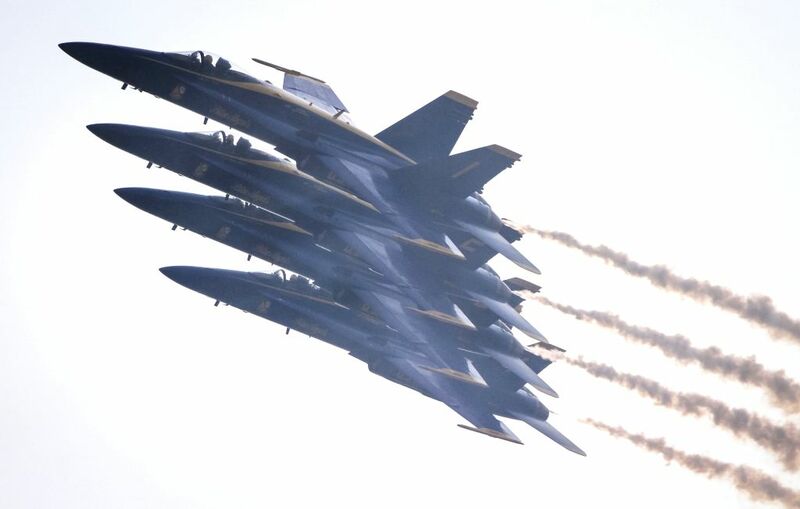 U.S. Navy's Blue Angels aerobatic team performs during the 56th Abbotsford International Airshow in Abbotsford, Canada, Aug. 10, 2018. An aircraft takes off during an aerobatic performance in the 56th Abbotsford International Airshow in Abbotsford, Canada, Aug. 10, 2018.